The weekend has really gotten away from me. Ugh! I hope all of you have had a chance to stop by Our Creative Corner to see what those super talented ladies have been creating! I had my card done and didn't upload it. Don't you hate that? I'm pretty famous for creating something and not posting. But usually it is to the challenge site and not my blog, too! So, we are going to continue this rambling on a brighter note. The creative Vicki is hosting a challenge for us this week. 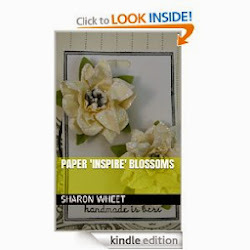 It Paper Piecing with a twist. The twist is that you can't use any ribbon, and only one embellishment. Sounds fun. And it is. The way I learned paper piecing, is that you take an outline stamp and stamp in on to some pattern paper, to give your object some color, depth, texture, and an illusion of realism. So, you don't have to color. And, I'll admit, my mind is traveling in 30 directions as once. I'm attending a stamping conference this week, and so my creative spirit is stuck creating for that, and my craft room is disassembled. (we are moving furniture). So, please bear with me. The card itself is pretty simply (for me). I used 1/3 sheet of 12" x 12" pattern paper, from Crate Paper. One side is the larger matt (blue-green pattern), the other side is the inside matt (large floral). The brown matt is a scrap. I have this stamp set, from Unity, that I really love the graphics. They look 1950's style. Very retro and fun. So, I inked an image from that set, in crumb cake classic ink, and stamped it onto a piece of white cardstock. I then used sahara sand classic ink and sponged ontop of the white card stock and edged it. The white cardstock looked too stark. I re-stamped the right side of the stamp onto my pattern paper scrap and cut out the blouse. I found a perfect matching button from my jar o' buttons. (Don't we all have one of those?) and tied some linen thread through it. I added a scrap piece of my favorite crochet trim, and VIOLA! 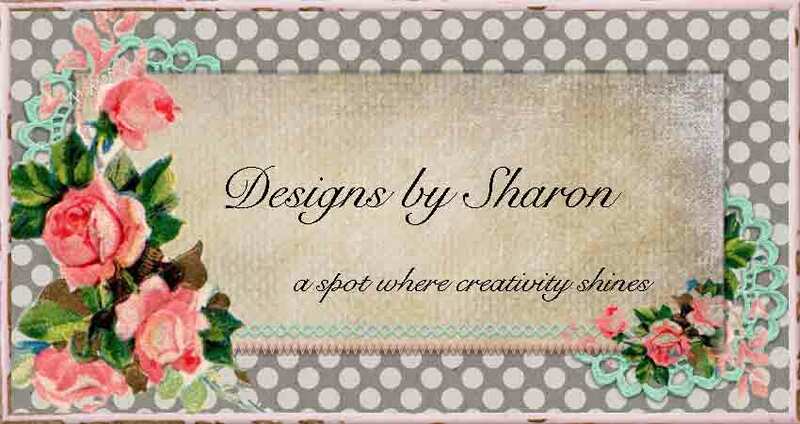 Sharon, that sentiment made me laugh because I think all crafters examine things and figure out how THEY can make it! LOVE the papers and how you cut her blouse out! FAB card!